Anchor swivels, springs with chain-hooks, shackles and diesel bug pumps. Diesel bug is a real problem, and is becoming more prevalent. Biodiesel in fuel supplies doesn't help these days. 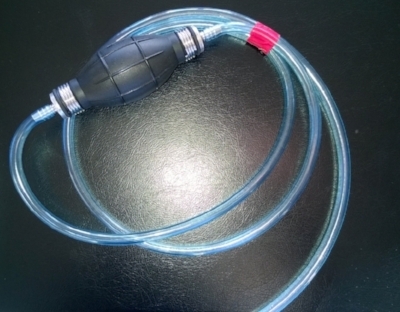 This handy little manual sucker pump will lift the sludge off the bottom of your tank through the filler hole. Just pump the sludge off the bottom into an old bottle. Let it settle, pour back the clear diesel and dispose of the sludge responsibly. A 10m length of nylon rope with spliced chain hook, all suitable for boats to about 12m length. This stretchy spring will absorb shock loads from your anchor rode, making your anchoring even safer. Available in two sizes: for 8mm chain, with 10m rope, and for 10mm chain and in two sorts of hook, carbon or stainless steel. 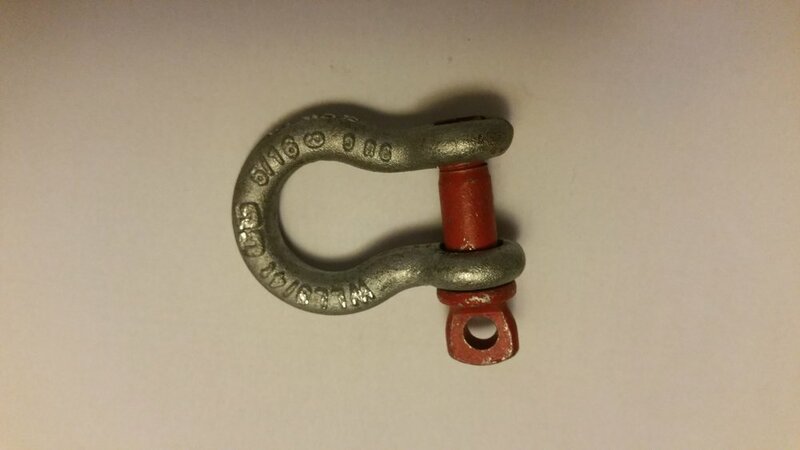 Kong make arguably the world’s best anchor swivels. We sell only this no-compromise swivel. After all your boat’s security depends on this, and it should not be the weak link in your anchor system. 316 stainless steel, proof rated for the job, you can certainly buy cheaper, but not better value.